Take a Mint … and a Hint! When you’ve had enough of the drama addicts in your life, it’s time to draw in a breath of fresh air with I Give Zero Fox About Your Issues Mints. These potent peppermint breath mints are packed with enough chill to cool your noodle after an overdose of incessant ranting and whining from those who think you still care about their crap no matter how many times you roll your eyes or try to walk away. 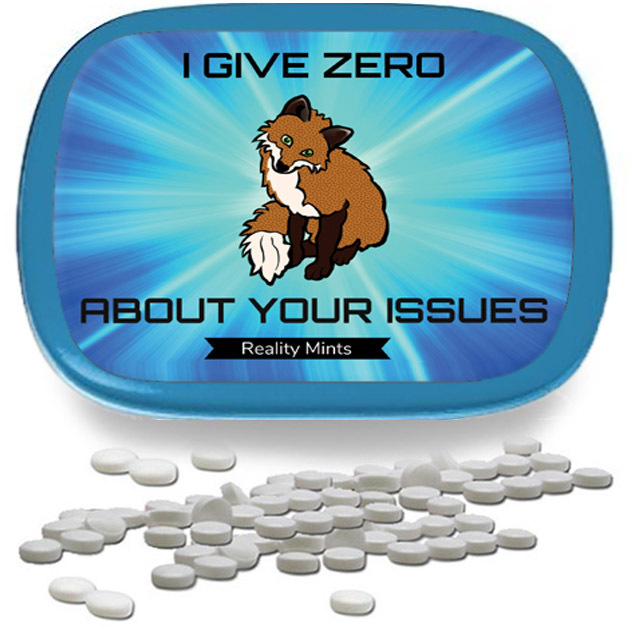 I Give Zero Fox About Your Issues Mints are for those victimized by chronic over-sharers. Whether you’re at work, home, or in the checkout line at the grocery store, there’s always someone unloading their baggage at your feet. 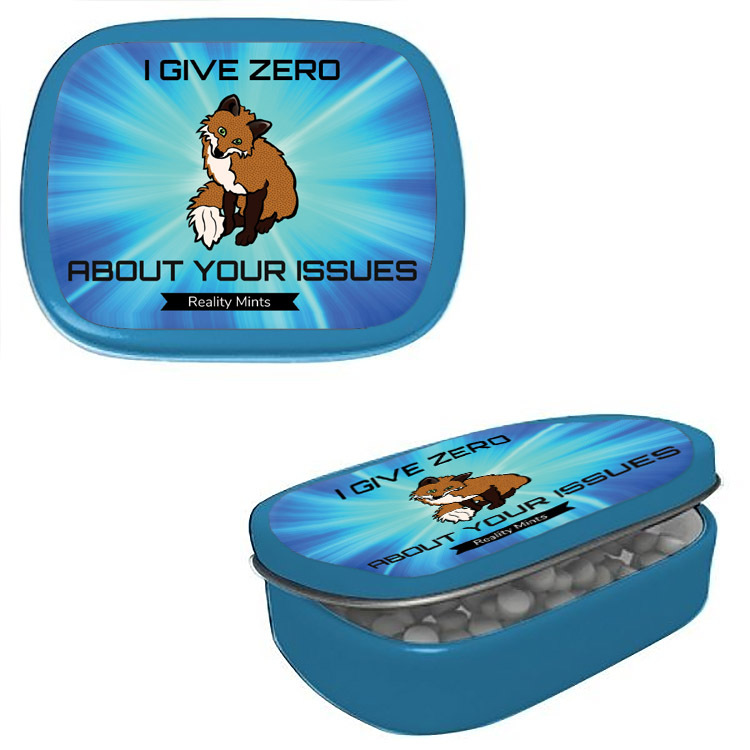 These snarky mints will help fight back against the constant barrage of crazy when you pop a few for yourself, or offer the tin to the offending party. Loaded with tons of attitude and approximately 165 peppermint breath mints, this hilarious novelty gift for grownups makes the perfect silly stocking stuffer, unisex white elephant gift, or addition to birthday gift bags, care packages, adult Easter baskets, or just because you know someone who is fresh out of fox to give.